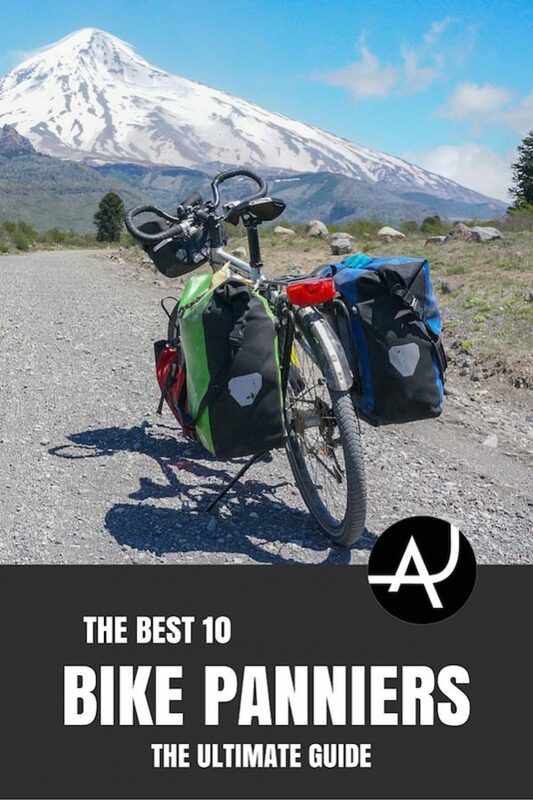 So you want to know what are the best panniers for touring out there? You’ve come to the right place! 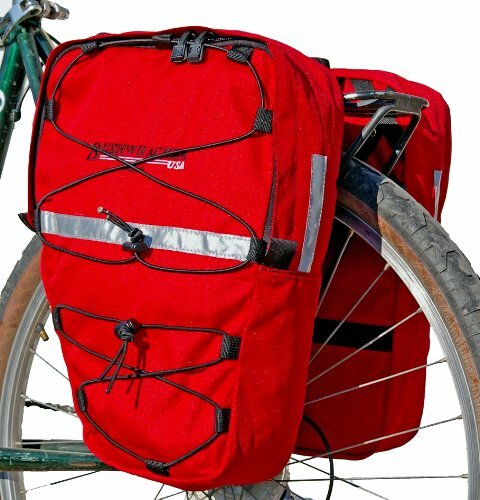 Bicycle panniers are bags that attach to the rack of your bike. 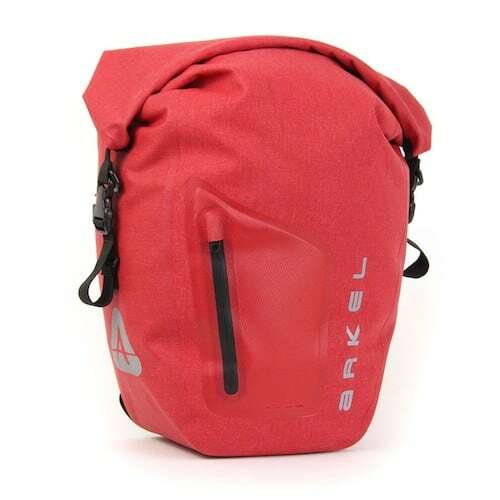 They’re designed to carry enough supplies and gear to sustain a cyclist on the road for days or even weeks at a time. Whether you are planning on going on an around the world tour or just weekend trips, these are one useful piece of equipment. 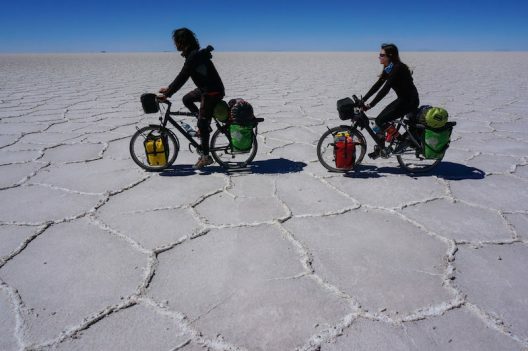 But, how do you know what are the best panniers for touring? That’s where we come in. 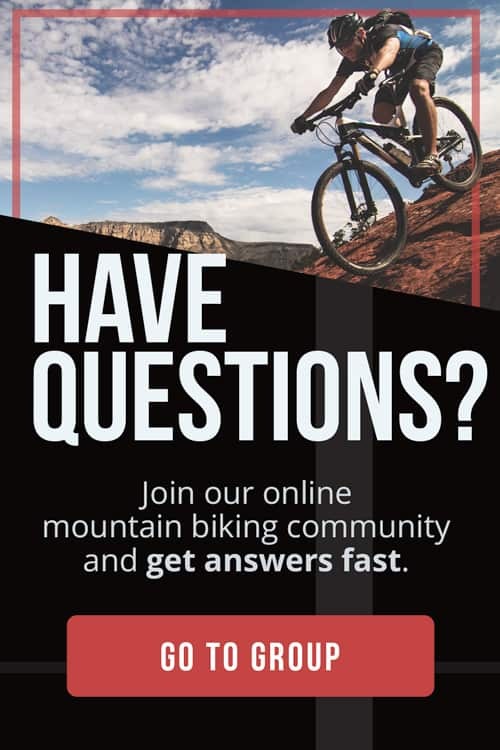 One of our goals here at The Adventure Junkies is to make your life easier when it comes to choosing outdoor gear. 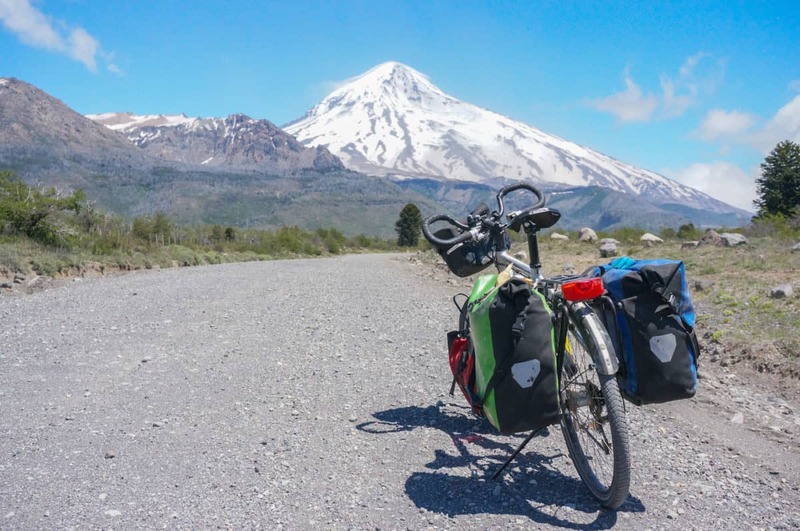 Here in this article we’ll walk you through what to look for while shopping for bicycle touring panniers and how to find the set that fits your needs best. 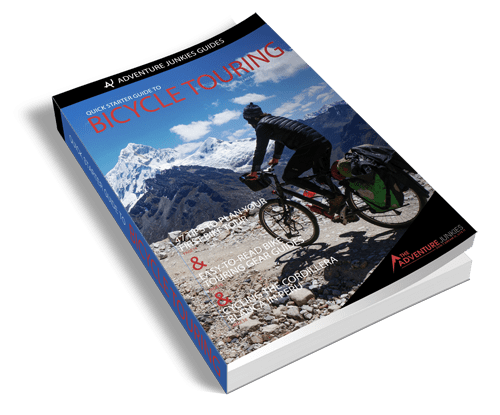 If you’re in the planning stages of your first tour, check out our bike touring packing list to make sure you don’t leave any important pieces of gear behind. 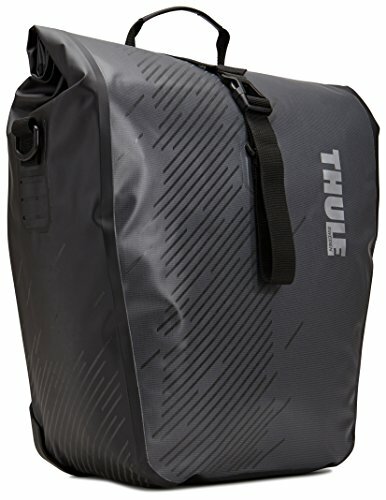 Okay, let’s get into the best cycle touring panniers and how to choose the right ones for you. 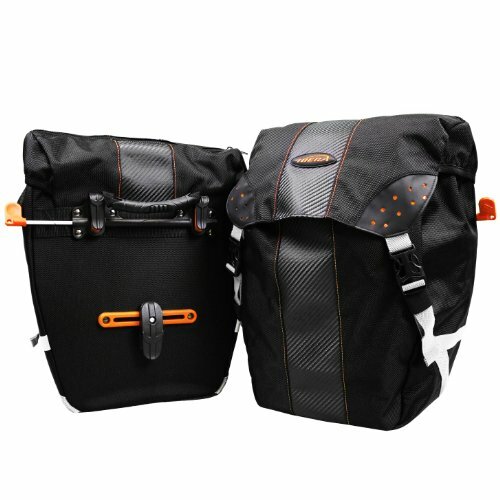 Bicycle Panniers come in a variety of sizes. 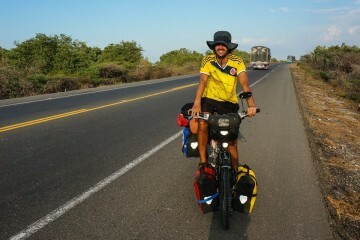 Typically larger panniers are used for the back and smaller ones are used for the front. However, some people like to use big ones for the front as well. 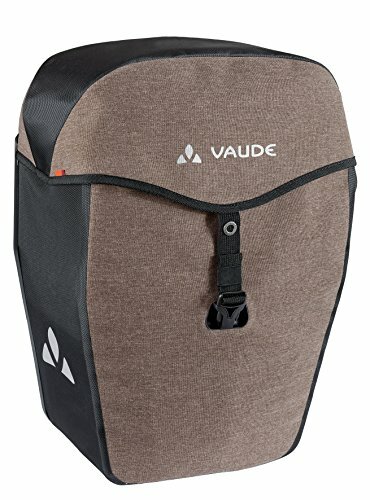 The size of panniers are measured in volume which is represented in liters. 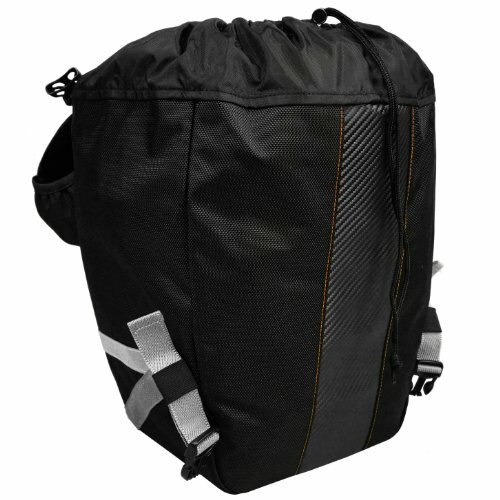 Rear panniers range from 35-50 L and front ones 20-30L. To determine which size is right for you, you’ll have to consider how much gear you will be bringing. 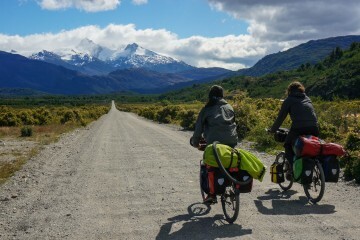 If you plan to cycle in cold climates, consider that you’ll need more room for extra layers and a thick sleeping bag. 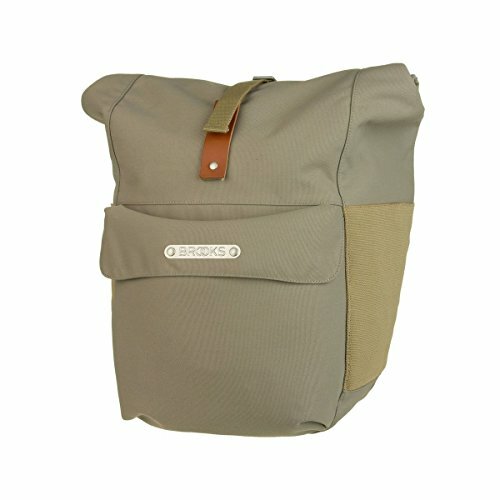 To decide how many panniers you need you’ll have to consider how long you plan to go for. 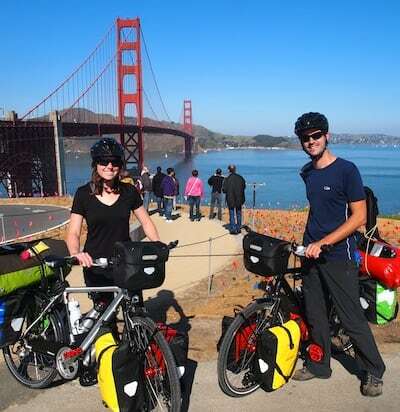 If you’ll just be gone for a few weeks, two rear panniers will do the job for most people. Keep in mind though that if you carry a lot of weight in the back, it can cause your front wheel to come up and make your bike feel unbalanced. 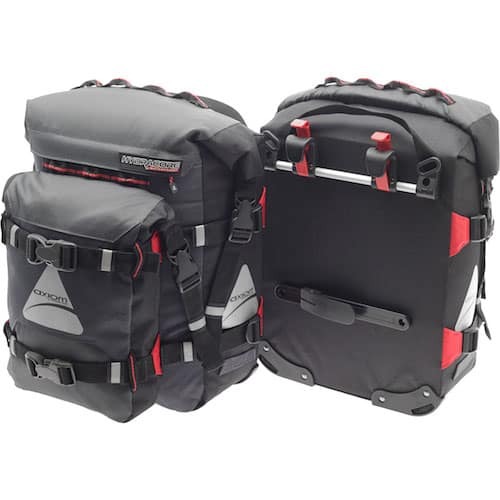 Besides balancing the load and carrying extra gear, front panniers are very useful for storing things you want to use during the day like extra layers or some snacks. 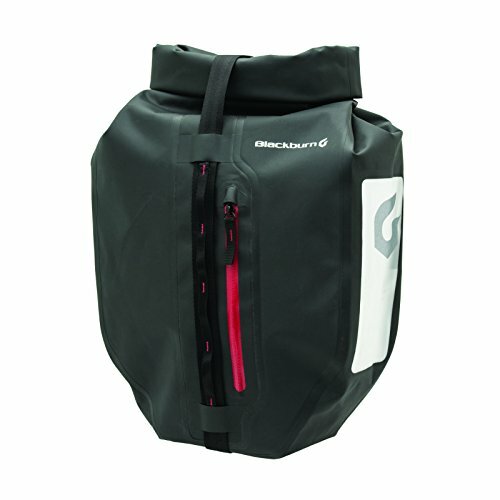 If you plan on cycling in wet climates, look at getting waterproof panniers. 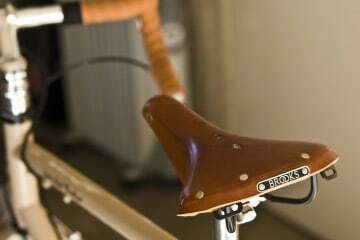 You don’t want to have to jump off your bike each time it starts to rain to put on rain covers. 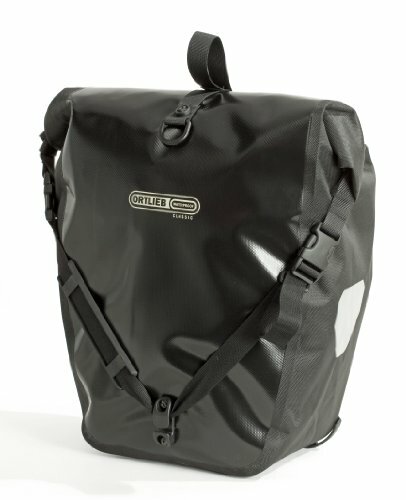 Waterproof panniers are considerably more expensive than water resistant or non waterproof pannier but it’s money well spent. 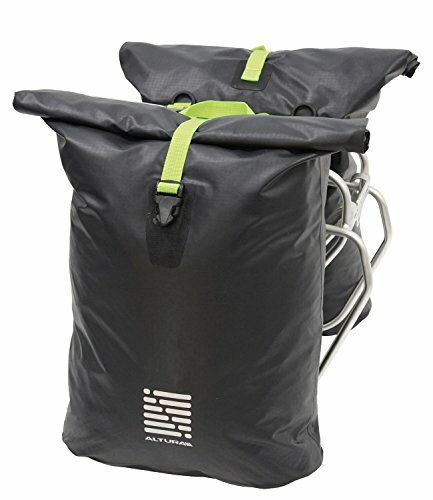 You’re going to be putting on and taking off your panniers at least twice a day so getting ones with an easy attachment system will help you keep your sanity. The fastest and easiest system is one that unhooks automatically when you lift the handle of the bag.